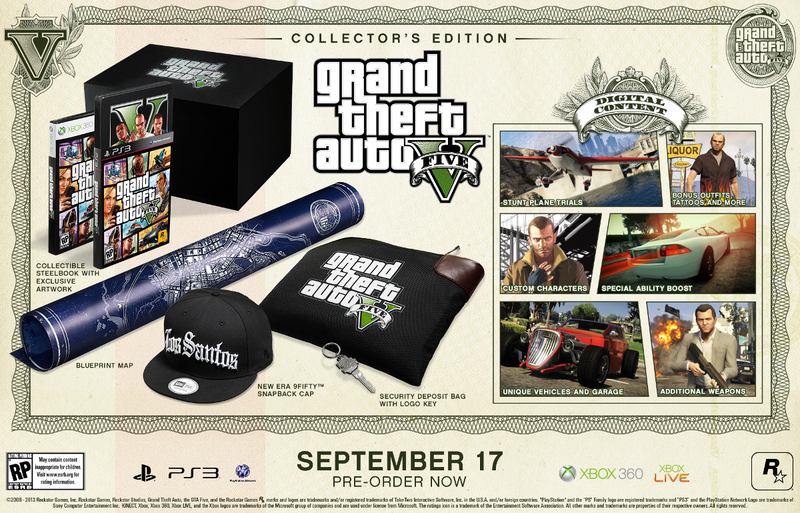 Today Rockstar Games confirmed that GTA V will receive both a Special Edition and Collector's Edition. 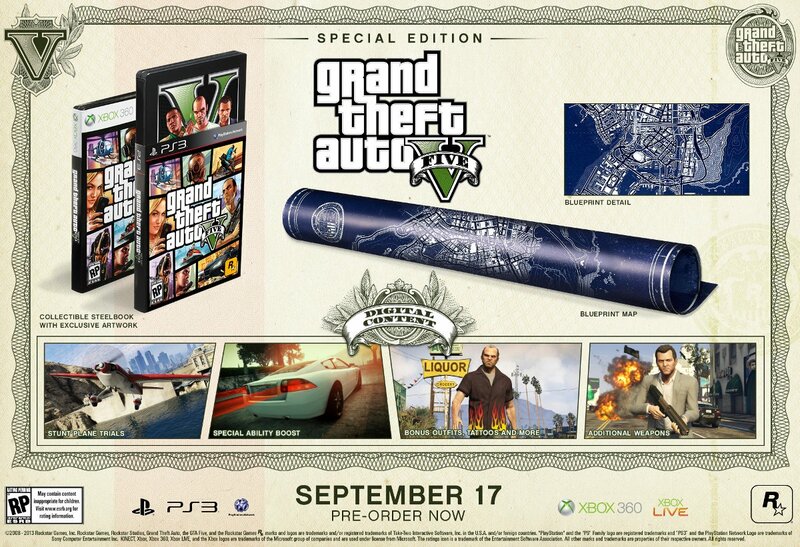 Each bundle comes with a few physical extras as well as some in-game freebies to help you in Los Santos. 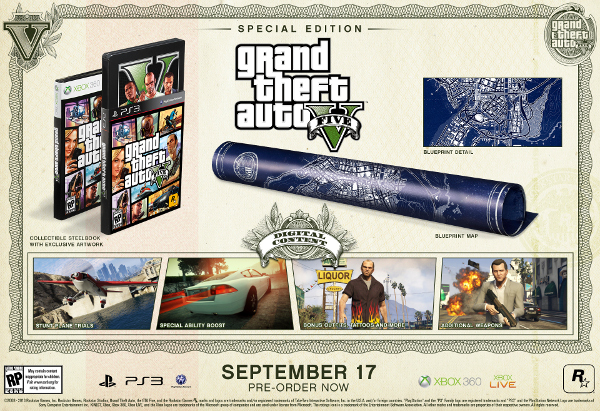 The $79.99 Special Edition ships in a SteelBook case with exclusive character artwork, and comes with a map of Los Santos and the surrounding area. It also unlocks bonus customization options for each of the game's three protagonists, and allows them to charge their special ability 25% faster. These characters will also be able to purchase the the .50 pistol, bullpup shotgun and hammer for free through Ammunation. You can get the Collector's Edition by paying $70 more. The CE contains everything in the Special Edition, along with a few more bonuses. An exclusive New Era 9FIFTY cap will let you show your pride for Los Santos and GTA V. You'll also get access to new vehicles in single-player, along with a garage to store them. Rockstar is also throwing in a bonus car and classic character skins for Grand Theft Auto Online, apparently the multiplayer component of the game. A GTA V-branded security deposit bag will help you secure valuables. Unless someone steals the bag itself, in which case you're screwed. Both limited edition bundles are now available for pre-order worldwide. 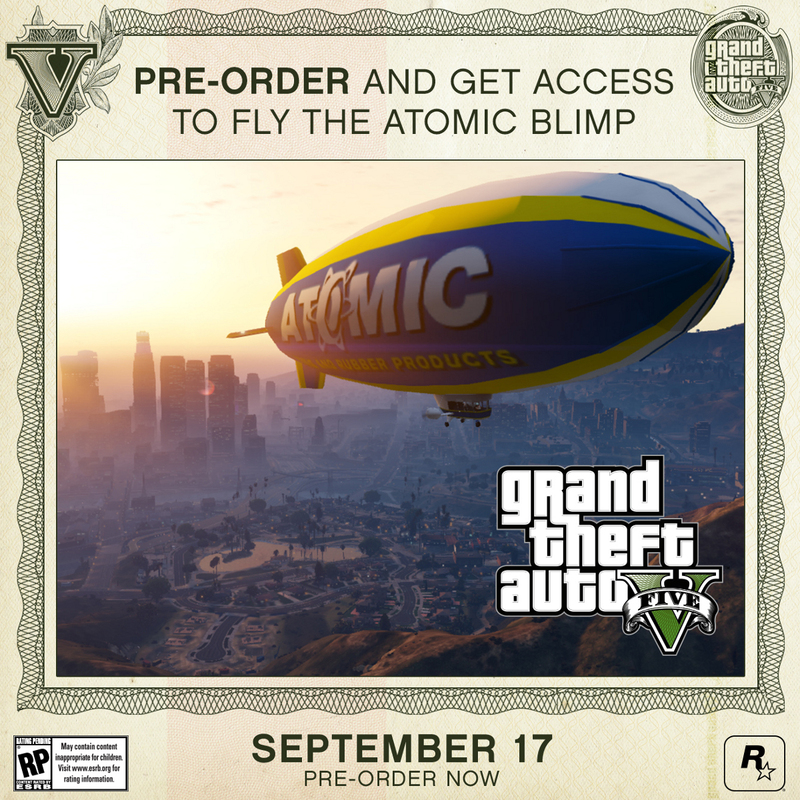 Regardless of whether you pre-order the special, collector's, or standard edition, you'll unlock the Atomic Blimp for use in game.